Now to go find some Kinder Eggs. Sam, that is too cute! Happy Easter! Thanks for the pictures! They just brightened up my day. What fun. That was like watching cartoons. I've never had so much fun with a Kinder Surprise, even when I've eaten it myself! Is that a snowman? Love the foil sculptures! hi - i saw your post on 101 cookbooks re: hummus and i just had to say that "hummus" translates as simply "chickpeas"! Hummus-bi-tahini is the full name of the ubiquitous version, which means of course "with tahini." You go tell that "purist" that I said "so there"! 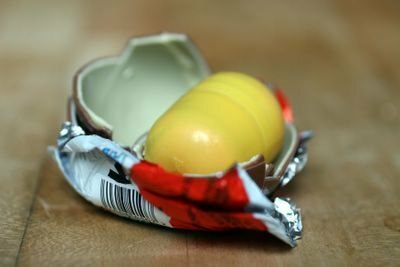 I grew up with Kinder eggs and love them too - they make a special large egg for easter with a huge pod inside. Ours had a egg-shaped multi-level Labryinth inside. 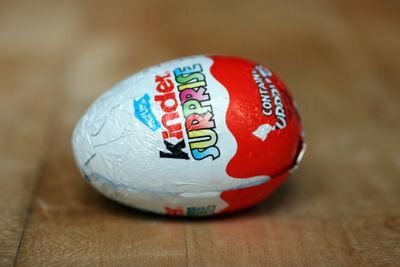 Kinder eggs are hard to find here because they aren't imported directly to the US (because of the fear of the FDA of the choking hazard, I believe.) They drift over the border from Canada and the UK. 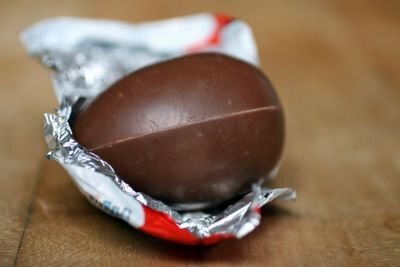 I got 3 kinder uberraschung eir in my easterbasket thanks to my german easter bunny just in from Freiberg! what fun! 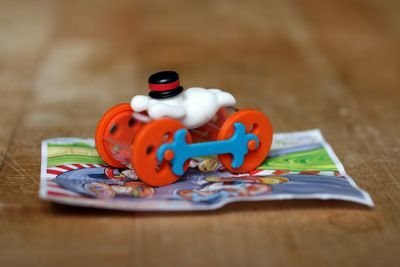 I only had my first Kinder egg a few years ago, and I fell in love! my favorite chocolate, and i love the photos. my day just got a little brighter! That's a lot of fun but next year I would love to be in Italy where lucky ladies find jewels in their chocolate eggs. (I heard that there have been e-normous eggs with cars inside them.) Meanwhile I'm going back to the Cadbury chocolate eggs I stole from my grandchildren. I have no shame. It's the cutest post ever! They sell Kinder eggs in California? that is fabulous! i will try your technique next time! where did you get the kinder egg? do they sell them in the states?? 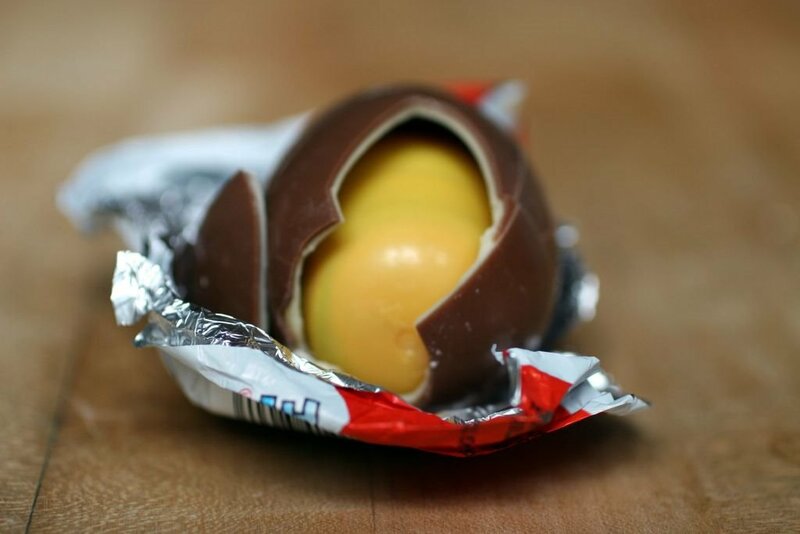 Kinder Eggs are the coolest candy ever. Any time I find them I buy a ton of them. Good chocolate, great toy. I think I'll write my senator about the choking thing. Can't let the man get in between me and my hazardous toy. Oh fantastic! Look at how many memories you stirred! I remember them from the mid eighties, Italy, my daughter was four, we said we bought them for her but it was a total lie! Hey everyone - thank you all! Andrew and June may particularly appreciate that I learnt how to make the HORSE (dog, huh?) 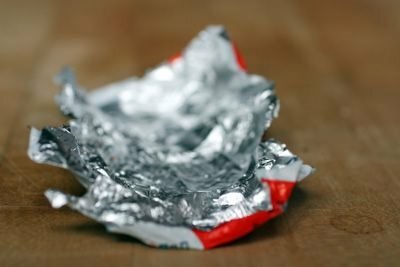 from watching The Generation Game when I was a child and I have been making them ever since - every time I or someone has a foil wrapper that is appropriate. The Kinder ones are a little large, I think I prefer Quality streets, really. 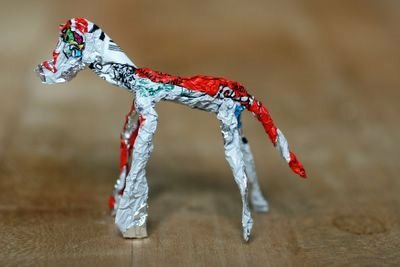 When I went off to college at the age of 19, i started making them from the mini swiss-roll foils, when I or one of my friends would buy one in the refectory. One day I had an inkling to slap my hand down on one of my horses. I didn't have any clue how popular it would make me (for a few seconds at least). So I started collecting the dead horses and then pinned them to my bedroom wall like a butterfly collection. This trick has been amusing new friends ever since and I am glad I managed to get my comic interlude over to a wider audience this week. 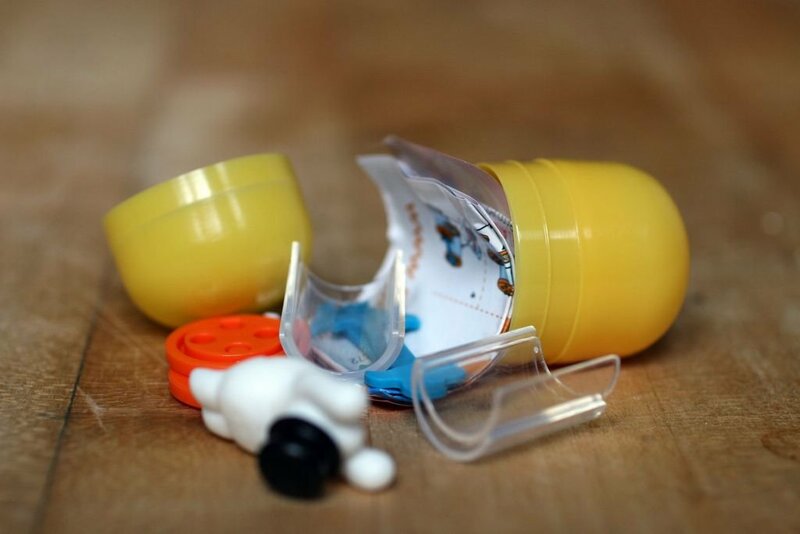 I can't remember where we got this kinder egg, the due by date was last year. I think I bought it for fred last year when I was in England for easter and it has been sitting in the fridge ever since. I have gotten them before in Mexico too. I know there are specialist stores where they can be found in the US - I suggest you ask your ocal chowhound or something. Or I am sure you can buy them online. We have our collection of Kinder toys running up the stairs - we have amassed nearly one per step by now. oh, and yes, this was a little snowman. SOme of the toys are so wierd, I would love to get in the mind of Kinder toy designer sometimes. That is just fantastic!! we were introduced to kinder eggs on a holiday in Germany. My kids are big fans. My husband makes sure to get a dozen whenever he travels to those parts. They seem to keep forever in the fridge!! I didn't even know there was a sellby date for them!!! That is too precious! Happy Easter (past)! I wish they were legal in the US! i guess the only thing we have in the US like that is cracker jacks and, frankly, the prizes have been sucking for years now. just like the prizes in most cereal boxes. but we still have the happy meal. blech! Love your site, photos and recipes. 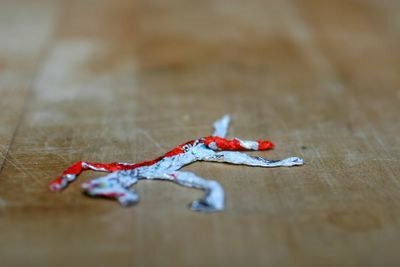 Hope you don't mind if I link to you.